Bordered by land on all sides, Clyde Hill started with an Irish immigrant names Patrick Downey in September of 1882. In 1888, Downey filed his final affifavit for a homestead cleaim of a 160 acre plot of land. This land was described as "timbered agricultural land" from which he cleared 20 acres of the land and sold 296,000 feet of board. 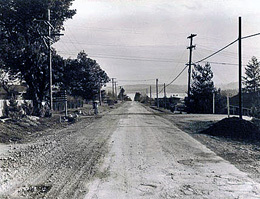 Clyd Hill became well known by the merchants and others in the city of Seattle for the strawberries produced in the area. The city has brown and flourished since first starting out in the late 19th century and in considered, by some, to be the most affluent city in Washington. Fun fact as well: Clyde Hill is ranked at number 10 in the entire country for most landscapers hired be square mile! Clyde Hill may be land-locked, but it still is host to many different kinds of wildlife. Raccoons, moles, squirrels, and semi-aquatic animals (such as beavers, nutria, and muskrats) are often seen here. Raccoons and moles can do some pretty extensive damage to homeowners' lawns and properties. (And, given the above information, we know that can be a huge problem for the residents of Clyde Hill!) Raccoons are nocturnal animals, meaning they are active at night so often times they come around when there is minimal human and pet activity. Moles are strictly underground animals so even if they are active during the day, it is very rare to see them in action.